Donna Kidwell is President of Webstudent International, a software company located in Norway and the US. A key member of the Future Learning Lab team since 2013, Donna has visited our conferences in Norway and Europe, sharing our interest in North-South issues and through that building working relations with universities in the Global South. Dr Isabwe is an Associate Professor of Multimedia & eLearning at the Faculty of Engineering and Science, University of Agder, Norway. He holds a PhD in Information and Communication Technology from the University of Agder, specialising in mobile learning and human-centred design of interactive systems. His academic interests include Interaction Design; Open, Distance and e-Learning; Visualisations & Simulations in mathematics education and Gamification. For the last 16 years, he has been working with universities in East Africa, the United Kingdom and Norway. 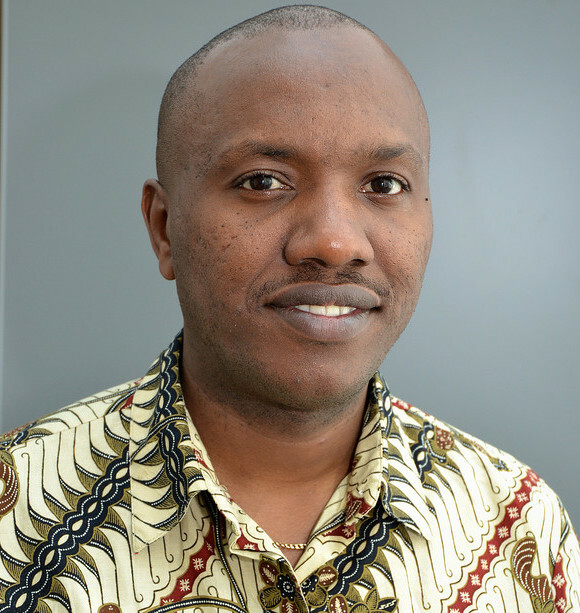 Ghislain Maurice N. Isabwe is Associate Professor at the faculty of technology and Engineering.His research focuses on usability and user experience for the web, mobile, wearables, augmented and virtual reality technology. 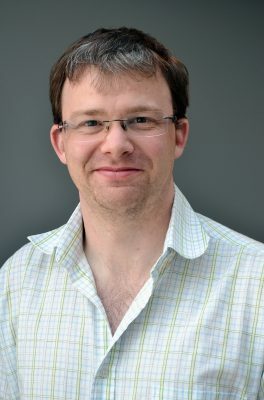 His work involves post-graduate teaching and supervision of research projects in the area of Human Computer Interaction and Technology Enhanced Teaching and Learning. He has contributed to the establishment of a Master program in Multimedia & Educational Technology at University of Agder and a blended learning master program in Instructional Design and Technology at Makerere University (Uganda). He is a reviewer of scientific journals, convener and a regular speaker at international conferences in the field of interaction design and digital technology in higher education. He has published more than 60 scientific articles contributing to the advancement of online education, blended learning and human-centred digital solutions. He is a founding CEO of Future Competence International Ltd, a forward-thinking futuristic enterprise thriving to maximize the human capital through competence development services & products. Dr Isabwe contributes to the development of formal and non-formal digital learning solutions addressing global digital inclusion and lifelong learning. Rune Andersen is currently working as an assistant professor at the departement of Information and Communication Technology at the University of Agder. He teaches e-learning and gamification as well as both teaching and creating courses aimed for increasing ICT competence for K12 teachers. He is also working on projects using blended learning and has a passion for trying to see what lies in the future of education and what we will need to do in order to be prepared for what is to come. In addition to working at the University, he has taught all levels in K12 education as well as students on both bachelor and master level. A key interest currently is the establishment of two new learning/interaction labs at UiA´s Grimstad campus, providing a new means of probing and exploring new modes of learning in a media-rich environment where hardware and software is state of the art. Halvard Øysæd is assistant professor at the department of Information and Communication Technology, at UiA´s Faculty of Engineering and Science. 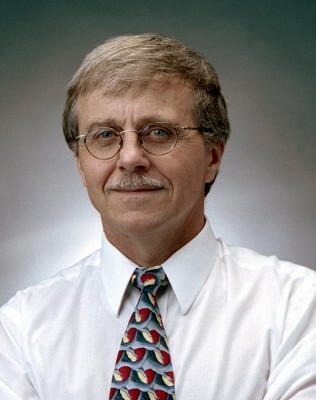 He teaches computer science topics in databases and operating systems. 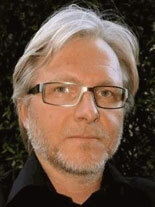 He is also involved in the Master in Multimedia and E-learning technology. He has previously been involved with the implementation of digital exams, LMS and had a part-time position at the pedagogical unit at University of Agder. He is interested in learning and especially students learning. He is developing an online Study Strategy course(PER Strategy) for students and are involved in the running of the MOOC “Success – Unleash yourself”. 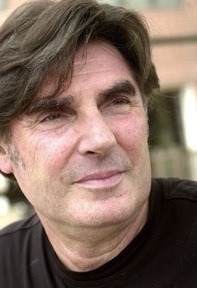 Derek Woodgate is a consulting futurist, author, university lecturer and curator. He is President of The Futures Lab, Inc. an international futures-based consultancy, founded in 1996, which specializes in creating future potential for major corporations and institutions, He is also Vice-President and Director of Learning at the company's non-profit arm LIFE (Learning Innovations in Future Education and Chief Creative Office at TFL's "living the future" events company, FEEL (Future Entertainment and Events Lab). 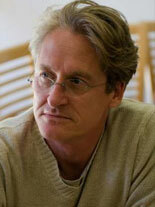 Derek is co-creator of the highly successful “living the future” event STEAM3 – The Future of Learning. Derek is also an Assistant Professor in the Faculty of Information and Communications Technologies at the University of Adger in Norway; and Adjunct Professor in the Learning Technologies Division of the College of Education and Human Development at Georgia State University in Atlanta, GA, USA. At both universities he teaches courses on the science of foresight and its application for the future of education and learning. As a leading futurist, Derek's principal expertise is in the interplay between emerging multimedia technologies, experiential learning and the future, topics on which he is a regular conference speaker and writer. Derek is due to complete his PhD at the University of Adger by the end of 2016. His dissertation is titled: "The impact of emerging multisensory augmented reality technologies on the future of experiential learning". Derek's other published works include: The Future of Advertising - a chapter in “PR Rules: The Playbook" (2014) and he co-authored Calling the Toads—A Burroughs Compendium” (1999), with Lee Ranaldo of Sonic Youth, Allen Ginsberg, and Douglas Brinkley. Sven Åke Bjørke is a developer and lecturer at the University of Agder, Norway where he teaches environment issues, sustainable development and ICT supported education at the Centre for Global Studies and Planning, Faculty of Social Sciences. Bjørke has also worked on the development of a pedagogy adapted for internationalized online education in the MSc Development Management. The University of Agder operates the oldes blended learning MA in the Nordic countries. He was one of the pioneers. 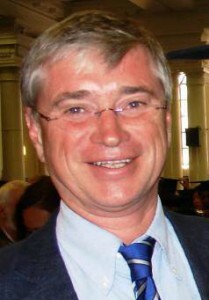 Bjørke has a master’s degree from the Open University, UK, in E-pedagogy, with his thesis on quality assurance of tertiary internationalised online education. He has been developing other online degree-giving courses since 2003. Bjørke also has a background from UNEP/GRID-Arendal, a UN-affiliated research center fo r studies in climate change. He was lead author and editor of numerous publications. He was worked as consultant for the development of State of the Environment report for China and South Africa State of the Environment Report China 1997; | State of the Environment Report South Africa 1997 and for the Programme ‘Mainstreaming Education for Sustainable Development in Africa (MESA). 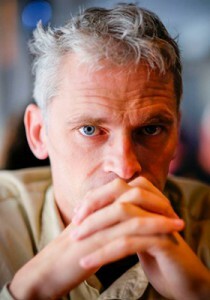 Bjørke has also worked as a Field Director in Kenya for the Norwegian Save the Children. He has also worked in Kenya for the Norwegian volunteer service, for the Norwegian NGO ARC-aid as a board member for 20 years, and for the Norwegian Refugee Council in Kosovo. He is educated as a science teacher, lawyer, jurist-linguist and e-pedagogue. Vidar Mortensen is the practical brains of Future Learning Lab and has been for the last three years. He has worked as a consultant and entrepreneur for the past decade and a half, in part with companies like Substans and Sunsense, which he helped to establish. 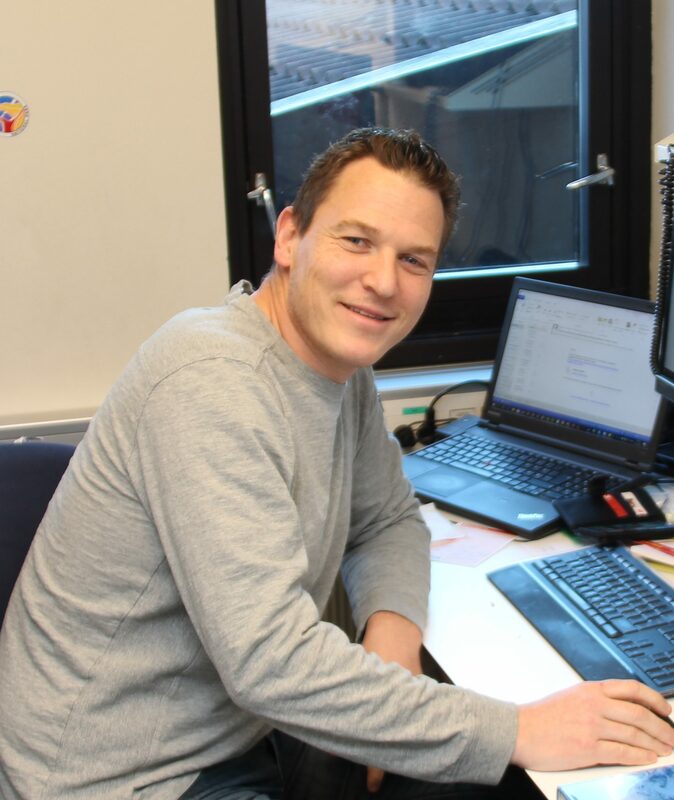 Some years back Mortensen held the position as Coordinator of technical development in the “LærerIKT” project a very large online training program for teachers in Norway involving more than 18 000 participants. He has been a consultant for the “First Motion” INTERREG EU-project, building a sharing platform for film distribution resources. He has worked with project development, business development and project management within film, music, theater and visual arts. Mortensen also has had meriting success with business restructuring and and PR services relating to start-up services in Southern Norway. And he is founding member of the only jazz festival in Norway to receive regular raving reviews in the New York Times (Punkt-Festivalen). He is CEO of a foundation running life-long educational services for heavily disabled children and youth (Sound of Happiness). His company Sunsense is currently seeking international funding for a next stage development of wearable UV-ray sensors. First round of seed funding came from Innovation Norway. From the professional point of view, I’m interested to learn about learning (in both formal and informal settings), and how learning can be enhanced with the help of various technologies that are nowadays so easily available. In addition to that, I’m interested in learning with other people, as I think learning in this case becomes richer and provides you with many more perspectives, making it possible for you to understand things deeper. In fact, every day we learn from other people a lot even without realizing that! And so, I’m also very much interested in reflecting on communication among people – this is something that is not always easy to understand and predict, which makes it an even more fascinating phenomenon. I will be glad to receive and reply to any comment from you – agreement, disagreement, question, viewpoint from a different perspective, addition, critique, opinion, idea or anything else. 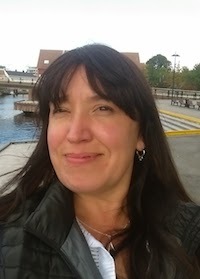 Renée Schulz is currently working as Assistant Professor for the Department of ICT at the University of Agder, mainly involved in gamification and serious games as well as the digitalization of courses (a master course in multimedia, a MOOC, and courses in (e-)health sciences). 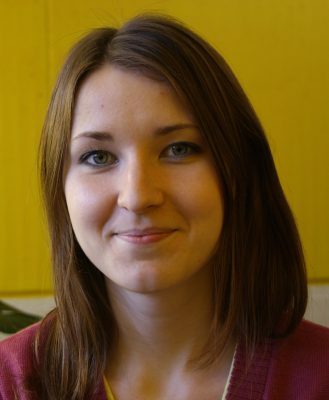 Her main research areas are Human-Computer Interaction and Interaction Design. 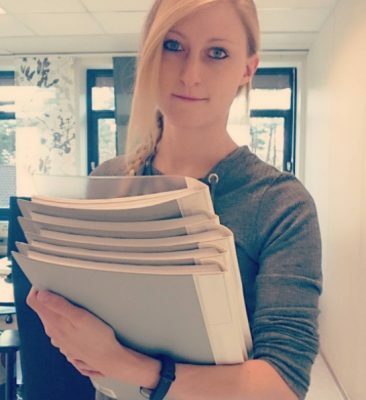 She recently handed in her PhD thesis with the title “Listening to Teacher’s Needs: Human-centred Design for Mobile Technology in Higher Education”. During the period of her PhD, she was an exchange researcher at Osaka University (大阪大学) at the Graduate School of Information Science and Technology. Dianah Nampijja is a PhD Research Fellow at University of Agder Norway, Department of Global Development and Planning. At UiA she is currrently working on a PhD thesis entitled Mobile learning for Supporting Livelihoods in Developing Regions. 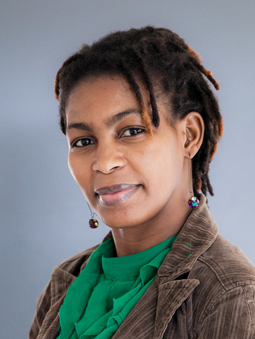 Her research area focuses on the broader concept of ICT for development, with mobiles for Development in particular. Her field activities are in Uganda, where she looks at how learning for development can be enhanced with the use of mobile technologies. Dianah is also an Assistant lecturer in the Department of Adult and Community Education, Makerere University, Uganda. Her research areas are in ICT for Development, e-learning, Mobile Learning, Workers education, Guidance and counseling, and Sustainable Development. 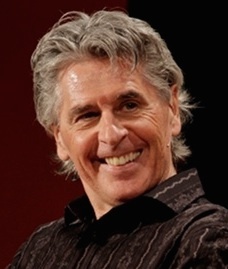 Keith Devlin is co-founder and Executive Director of Stanford University’s H-STAR institute, a co-founder of the Stanford Media X Research network, as well as a Senior Researcher at CSLI. He is a World Economic Forum Fellow, a Fellow of the American Association for the Advancement of Science, and a Fellow of the American Mathematical Society. Matt Bowman is the associate director of the Zephyr Institute, a think tank in Palo Alto focused on people and the future. He cofounded and writes for EdSurge, a independent information service and community for everyone involved in education technology. Matt began his career with Teach For America in the Bronx, NY, where he and his fellow teachers helped their middle school scholars achieve some of the highest gains in ELA test scores in the city. Shortly thereafter, Matt joined KIPP Bayview Academy in San Francisco, as a 6th grade writing teacher. In 2006, teaching close to Silicon Valley, Matt noticed that venture-backed technology companies were transforming media and business, leaving education relatively untouched, despite huge inefficiencies in the education system. Sensing an opportunity for a broad impact, he immersed himself in the world of venture-backed technology, becoming the managing editor of AlwaysOn, a network of Silicon Valley thought leaders, and spent the next 5 years growing relationships with investors and startup CEOs, writing about disruptive technology—especially education technology when his editors allowed—and organizing industry events. He wrote and helped produce conferences for AlwaysOn, Vator.tv and VentureBeat. In late 2010, Matt launched two information hubs hoping to accelerate a shift in Silicon Valley interest, investment and engineering talent toward education. He helped grow Higher Ed Live, a weekly web show aimed at university officials interested in technology, and cofounded EdSurge, whose newsletter quickly became a leading industry source for education-technology news. By 2011, the edtech world had blossomed, enabling new school models to emerge. At the same time, thousands of inner-city parochial schools, which had done much for underserved populations, were being shut down for financial reasons, causing even greater strain on the public system. Matt joined Seton Education partners to help launch the Phaedrus Initiative, which aimed to leverage education technology to help fix financials and boost academic performance for Catholic schools in high-needs areas. Over the last three years, the ed-tech industry has ballooned, growing more powerful and controversial. Ideologies and special interests are influencing policy and public discourse in powerful ways, and new technologies have thrust issues like privacy, equity and the ultimate goals of education into the limelight. In September of 2014, in hopes of addressing these challenges, Matt cofounded the Zephyr Institute, a think tank in the heart of Silicon Valley that aims to help policy makers and professionals align on-the-ground practice with research in human flourishing and a commitment to the common good. 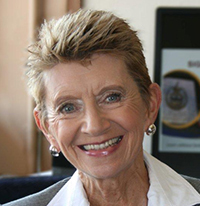 Since coming to our 2014 conference and then joining us for a Stanford workshop, Dr Gerda Mischke has been associated with our globalization oriented Future Learning project team. Signature Courses: The aim of the Signature Course project is to set a standard at UNISA for online course design in an open distance learning environment where thousands of students come from disadvantaged backgrounds and have restricted access to digital devices and to the internet. Digi-bands: UNISA is making its online courses available to students on “digi-bands” (memory sticks with software making it possible to “download” LMS tools with content onto memory sticks). Such digi-bands allow students to work in an offline environment and then go online at regular intervals to synchronise their digi-bands with the LMS mainframe. During synchronisation all the work students have done offline using the different LMS tools is uploaded onto the main LMS platform, while new information on the LMS is copied onto digi-bands in order to maintain the information on both at the same level. Mobile application: The Signature Course mobile application is a light-weight application that resembles a subset of the functionality of LMS tools. It is a native smart phone or tablet application that runs on Android, iPhone, iPad, Windows Phone 7 and Blackberry and allows students to work offline on their mobile devices and to synchronise periodically with the LMS mainframe. Telecentres: UNISA has entered into collaborative agreements with telecentres in the various provinces across South Africa. Such centres are equipped with printers, photocopiers, scanners, faxes and computers connected to the internet. Registered students can use the centres free of charge. UNISA is hereby ensuring that its students, who do not own their own devices have access to computers with internet access throughout South Africa. Student support: In order to support students in online learning, registering students are divided online in groups of 50. Teaching Assistants are appointed and trained to mentor such students, to mark frequent, focussed assignments and to comment on student work. Student evaluation of online learning: Regular surveys are conducted to determine student responses to the UNISA online learning initiative.